Mumbai : Around 1.70 million Maharashtra government employees will strike work for three days from Tuesday to press their demands, including implementation of the 7th Pay Commission report, a union leader said on Monday. 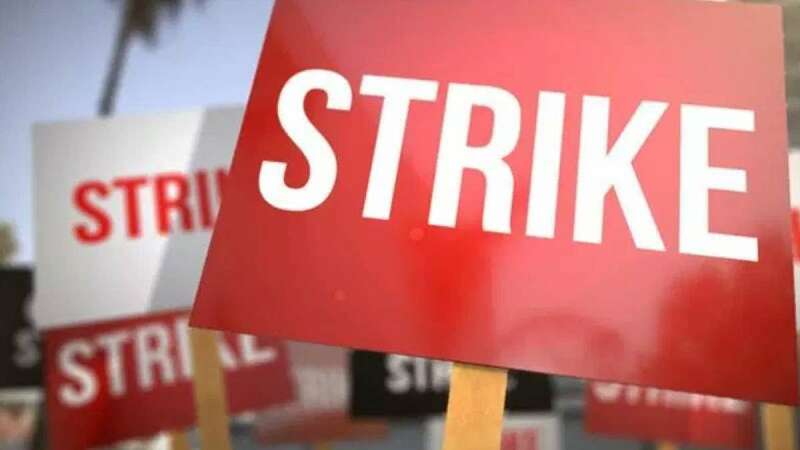 Maharashtra State Employees Organisation (MSEO) President Milind Sardeshmukh said all employees right down to the taluka levels, educational and medical institutions and others will join the strike. As a result, work in all government offices at the headquarter, Mantralaya, collectorate, tehsil and taluka levels is likely to be affected, besides in educational, medical and other affiliated institutions. The employee leader said that the Maharashtra State Gazetted Officers Federation will not join the strike as they are hopeful their demands would be met. "The government has been sitting on our demands, including implementation of the Pay Commission report, effective from January 1, 2016, despite the assurance by Chief Minister Devendra Fadnavis," Sardeshmukh told IANS. The state government is dilly-dallying by saying it is awaiting K.P. Bakshi Committee report in the matter as implementing the Pay Commission recommendation would entail additional burden of a staggering Rs 21,000 crore on the debt-hit state. Other major demands include implementation of five-day week, increasing the retirement age from 58 to 60, and filling up of over 200,000 vacancies in the state. The MSEO, Maharashtra State Class IV Employees Association and other affiliated associations had served a notice for the strike to the General Administration Department on July 16, but there was no response from the government. The unions have said that this time they will not settle for "mere assurances." A meeting between the authorities and the union representatives was underway in Mantralaya till late this evening to sort out the issues, but the outcome was not known. On the major demand of recruitment, a state government official said that the state plans to start a mega recruitment for filling up 70,000 posts, but the unions say it is not enough as there are over 200,000 vacant posts at all levels across the administration. In 1975, state employees went on a 33-day strike. In 1977-1978, they struck work for 54 days in support of various demands.